Edited by AnkVaati at 11:47, 07 Dec 2017. Evening folks! I realize I haven't been very active here for some time and probably won't be in the future either. Not your fault... I simply lost hope with the series. - The story will take place in Axeoth, on the hitherto unexplored continent of Aalondor. - Yes, there exists some marginal lore about Aalondor for the abandoned Legends of Might and Magic project, but since that was one of those projects 3DO basically forced NWC to work on for no good reason, and it was scrapped anyway � I'm gonna largely treat it as a carte blanche. - The story will involve some of the H4 characters, as well as some earlier characters we didn't hear a lot from in H4, and will connect MM lore to HoMM, like AB failed too, while preserving the classic fantasy setting and making the game usable for custom maps etc. in entirely other settings. 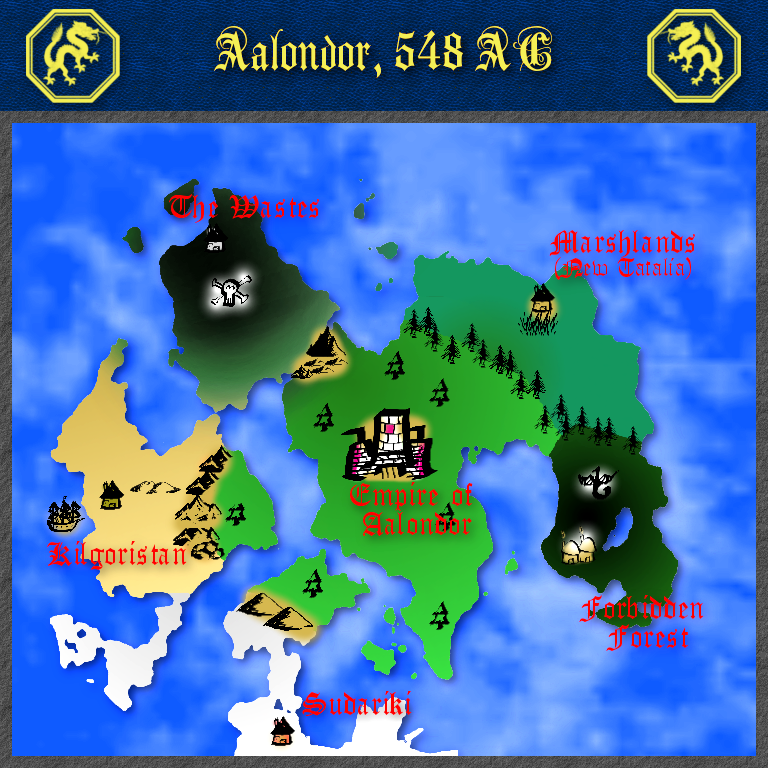 For over a thousand years, the Continent of Aalondor has lived in relative peace and prosperity. After a legendary confrontation with the monstrous Kreegan and their cultist servants, most of the continent has been under the undisputed rule by a magic aristocracy the Aegis Emperor or Empress. Utilising mind-control using arcane magics and long forgotten technologies, through the Aegis Spire, the seat of the throne, the Empire has kept its enemies and critics on the fringes on the continent, and squashed any opposition. The Reckoning bought little-understood changes that caused the Spire to malfunction. With the arrival of the Tatalian people in the Marshlands to the north-east and a fanatical mysterious prophetess to the far south, the empire's hold over its peoples has been shattered, and conflict seems inevitable once more. A few forces have never been under the Aegis Throne. Most notably, the Fair Folk, a group of catmen, eleves, satyrs, dwarves and other nature-aligned creatures, had secluded themselves in the Forbidden forest under the tutelage of the mysterious Sorceress Jenova. Through an agreement with the Empire, the Fey agreed to stay in the forest, and the Empire in return agreed to stay away from them. This agreement was unacceptable to some among the Fair Folk, who could not tolerate the damage and destruction wrecked by the 'civilized' peoples upon nature and her creatures. Steeping themselves in foul and corruptive magic, they became the Defilers, a nation bent on eradicating civilization from the continent. Allying themselves with monstrous creatures such as Vampires and the fearsome demons known as the Venom Spawn, they created a magical plague known to most as the Corruption, that could turn other living beings into monstrous ghouls, and even make Dendroids submit to their cause. As corrupted, they where immune to the mind control of the Spire, but because of their limited numbers they were forced to relocate to the northern peninsula that soon became known as The Wastes because of their poisonous and corruptive ways. Apart from the Fey and their shadowy cousins, the only notable resistance to the were the grim people of the frozen southern lands of Sudariki (Aalondor is south of the equator). Around the time of the Reckoning, Prophetess Saga arriving from another world and founded the Temple of Ravens, a religious organization supposedly dedicated to the salvation of this world through the destruction of 'forbidden knowledge' utilized by the Empire and others. Gifting some of her her followers with the 'holy' alien gift of Lycantrophy that made them fearsome fighters immune to both mind control and undeath, the Temple is on the march to destroy the Empire for good. 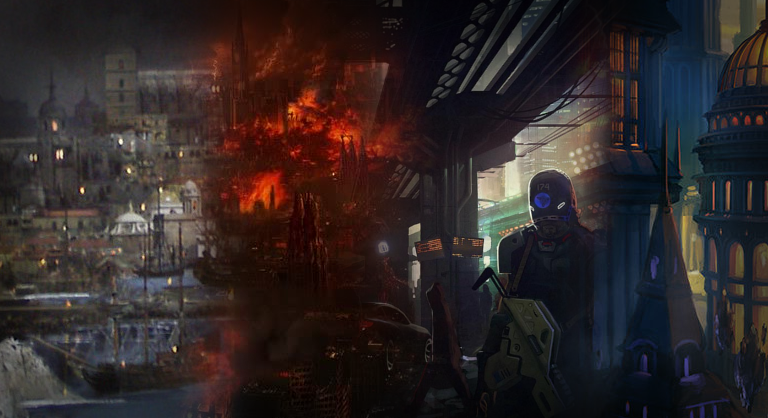 Unknown to most of her followers, Saga is actually Resurrectra from MM3/7, who � having travelled various world after the events of MM7 and seen the chaos and destruction left behind by the Ancients through their destruction of all the worlds infected by the Kreegan, is determined to prevent the Silence from ever ending by destroying all remnants of Ancient technology. Meanwhile, at the Marshlands in north-western Aalondor, refugees Tatalia founded the Kingdom of New Tatalia, at this point without electing a king or queen (they were hoping to find a relative of Tralossk to hand the throne to) but with the legendary fire with Adrienne as their de-facto leader. After a few skirmishes with the Empire, both sides realized they had no real interest in fighting the other (the Marshlands were a quite poor and underpopulated area in any case), and made peace by New Tatalia agreeing to pay lip service to the Empire and formally recognize its suzerainty over the Marshlands. Decades afterwards, a mysterious Spell plague began haunting magic users on Iranese. It will eventually turn out that it is the lost mind of Gavin Magnus, 'echoing' through the malfunctioning Aegis Spire, but this remains unknown to all for now. Shortly afterwards, all the Dragons of the Golden Sea Empire disappear to an unknown location far to the west. Outraged and paranoid about an attempted coup by powerful magic users, Queen Tawni blames the over five centuries old Lord Alamar, leader of the Warlock's Guild, and starts purging his order from the Empire utilizing interrogations, torture and murder. Tasking his apprentice Sephinroth with summoning what remained of his order, Alamar and many ex-Nighonese nationals agrees to flee south, to the Tribal Lands. Through caused heavy losses in confrontations with the Golden Sea Empire, Sephinroth follows her master's orders by the letter, in the faint hope of one day gain his heart... something Alamar doesn't even seem to realize in his ancient and arcane state of being. Temporary taking refugee in the Tribal lands, assisting King Waerjack with hunting down a couple of strong magical creatures who are creating trouble for his people, they eventually manage to recruit the legendary heroes Tazar and Crag Hack. At some point, Alamar realizes the nature of the spell plague. Seeking to claim the immortality of Magnus, the gift he has been envious for centuries (as while he can magically regenerate his corporal existence to avoid death, he does not process the gift of reincarnation) he announces to his followers that they are leaving for the mysterious western continent, to found a new nation based on their ancient principles of right by might. Crag is mostly looking to smash skulls but has developed a strong, albeit primitive, liking for Sephinroth, while Tazar is mostly looking to search for his people and his own long-lost love interest, the fire witch Adrienne. They set sail on Aalondor and reach its western peninsula, founding the Kingdom of Kilgoristan with Crag as Alamar's puppet king. Upon learning of the existence of New Tatalia, Tazar eventually abandons his comrades and reaches the Marshlands of New Tatalia. It turns out the mysterious �Dragon Father� (actually the Dragon Pharaoh from MM5) arrived from the stars as a 'saviour' for the Dragonkin and their lizard relatives, and has sized power from Adrienne, placing her in house arrest. Tazar has to do several tasks for the Dragon Lords to agree to set his crush free, among them quite unsavoury things that includes killing civilians and stuff. The reason for the �Dragon Father's� appearance is actually less than benign. Having received signals of the malfunctioning Spire, he is on a quest to use it contact his Dragon people from beyond the Void, informing them of the resource-rich wast sector of Ancients-free planets, free to take and serve as living space and breeding grounds for their kin. Harbouring no true loyalty to the Tatalian People, the Dragon Pharaoh views the other races as means for an end, and behaves in a dictatorial way that goes contrary to the traditional communitarian values of the Tatalian nation. Meanwhile, in Nekross, a more and more lonely, depressed and anaemic King Gauldoth receives a messenger from the Defilers, offering a partnership between outcasts of sorts, and telling him of the power behind Spire (which he strongly believes is of the same nature as the Points of Power). Seeking to deepen his understanding of nature magic, to eventually free him from his half-death state (and perhaps even bring his long-grieved love-interest Alana back � Gauldoth believes there are ways to access the Paradise [database] through arcane and long-lost technologies, so that he can 'correct' his mistake). Leaving his trusted General Fiona in charge of Nekross, he sets sail to Aalondor � though he is forced to kill his demonic followers as he discovers a plot to kill him, raising them as undead servants. Gauldoth safely arrives in The Wastes, only to � much to his dismay - learn that Sandro has already killed their leader and taken over their Order. Sandro insists that he holds no ill will against him and that they can work together for the same goal, even offering Gauldoth a third of the Wastes in exchange for an alliance. Gauldoth also learns of the arrival of his Tatalian and Warlock competitors. Always the diplomat, Gauldoth tries to offer an alliance to both and to the Temple of Ravens as well, but only the later shows any interest (Alamar hates necromancers and Sandro in particular, sees them as deviants and traitors to his order, responsible for the decline and fall of Warlock Enroth). The Temple of Ravens and the Defilers enter a strategic pact and march on the Aegis Spire. Outraged, Alamar sends warning to the Sorceress-Queen Jenova of the dangers these necromancers supposedly pose to Aalondor and the world if they take the Spire. He presents his people as fellow nature-loving outcasts living a primitive but meaningful life in accordance with natural law and the Gods, and enters a similar pact with the Fey. Jenova is reluctant to break her thousand-year old agreement with the Empire, but seeing how the later is collapsing anyway � agrees to go with Alamar's plan. In the end, the 'Dragon father' captures the Spire before the others, but while trying to take control of it, his mind merged with that of Magnus, destroying both in the process. Overjoyed, Tazar and Adrienne take power in New Tatalia, while Resurrectra and her Temple of Ravens takes over most of the remnants of the Empire, and begins a reign of terror where potential heretics thought to keep forbidden knowledge are mercilessly rooted out. Sandro is 'killed' by Gauldoth (but where is his phylactery?) 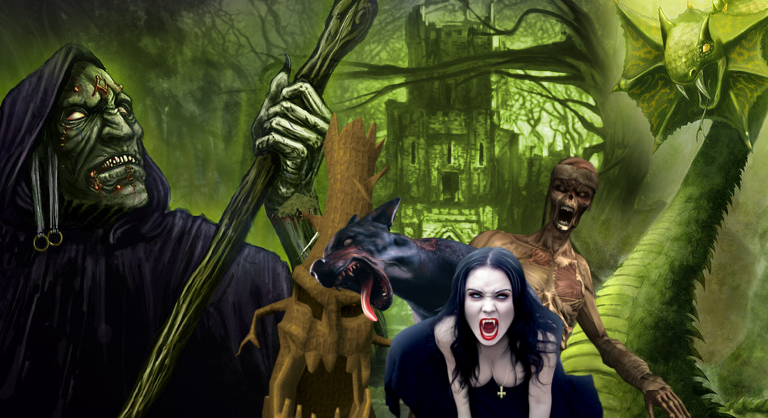 after the later cooperates with the Fey and finally finds an uplink to enter the Paradise database and 'rescue' Alana, who he takes with him back to Nekross, leaving the Defilers in the hands of his trusted friend, the beautiful vampire Luna. Ever the opportunist, Alamar quickly switches allegiance and assumes the position of 'Holy Guardian of Forbidden Knowledge', his Warlock's Guild given a virtual monopoly on advanced arcane arts and the freedom to plan their revenge on Tawni and her allies. Waerjack returns to his people across the seas, but Crag stays with his new master and eventually marries Sephinroth, who has finally given up on the old man, and they have children. In New Tatalia, Adrienne is once again elected Queen and marries Tazar. The end. Story for future expansions: Not really fleshed out, but I have some ideas involving the semi-towns. One could deal with General Fiona dealing with a kreegan Uprising, one RPG-styled piracy/mercenary themed campaign dealing with the territory south of Nekross, a fractured and feudal/lawless land of various outcast under Nekrossian suzerainty. A third would deal with the Confluxes with the Planeswalkers appearing to stop the use of Ancient technology (Forge semi-town). It's possible semi-towns in general could be an expansion feature. One campaign should probably deal with taking care with the remnants of the Empire and reforming its oligarchic, magocratic system of governance. Another idea I've had is having Gauldoth go paranoid over whenever Alana is actually Alana and not an imposter (or a product of his imagination) and � obviously - going on a quest where he eventually discovers his half-brothers Waerjack and Lysander, as per Terry Ray's excellent writing. 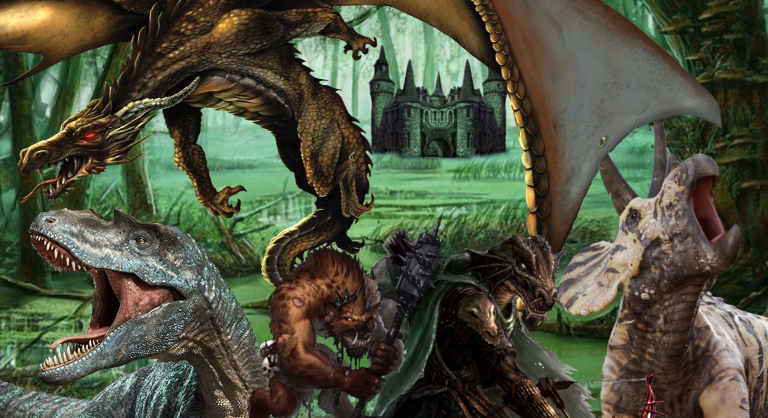 - All the factions should reflect a classic fantasy setting � but not feel generic. The lore should not be infused upon the custom maps (ie. 'the battle mages of Shar-Elam descend from'..). Even factions who are reasonably unique to the game (warlocks) should be usable on custom maps set in other settings. - Recycle a moderate amount of H1-4 creatures. Of course, what qualifies as 'moderate' is up to debate lol. - I'll try to take gender balance into account, but on the whole this should not be noticeable as in the Ubi games, as my factions are not race-based. - 6 levels of creatures, with choices for all but the last level, three to choose from levels 1-3 and two levels 4-5. For level 1 creatures, two of three may be built, unlike other levels. No direct upgrades as we know them, but some factions will have mechanics similar to upgrades. - The creature choices should be somewhat varied, ie. not three melee creatures in one row, but preferably melee/ranged/flying or melee/ranged/magic, if possible. - Only one type of dragons. We've have enough of those. Seriously. - And no spiders. We have had enough of those as well. 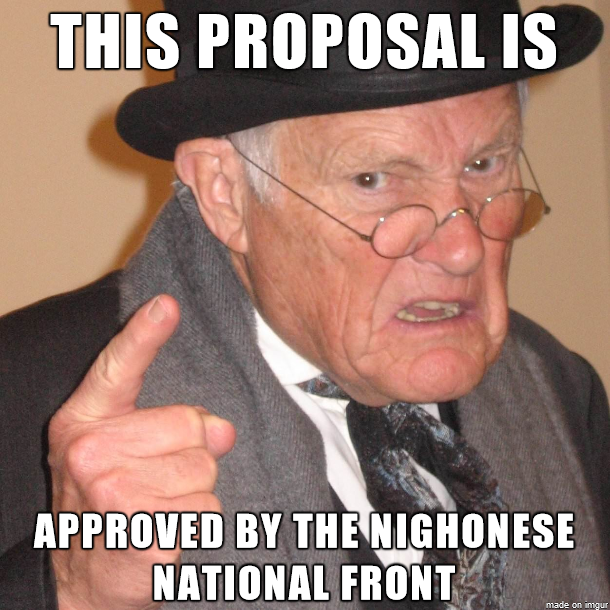 For the next 100 years. Theme: Tristram-esque cult-like western medieval religious fundamentalism with Scandinavian influences and a lycantropic streak (...think of the band Powerwolf ). The Fanatic is the Cathedral version of the traditional Knight faction's Peasant, a rather disappointing but numerous melee attacker that always has positive morale. The Huntress is armed with a bow and flamed arrows, while the Flamewielder is a spell-caster that focuses on fire-based direct damage spells. The wolf raider is a rather fast but not terribly robust berserk riding on the back of a wolf. The Flagellant is an average melee attacker with certain spells amiable who attacks its enemies with a whip and processes the ability to regenerate its spell points when loosing hit points. The Phalanx is a pikeman with a rather small shield, who can attack enemies from a distance and gets a bonus to defending against mounted enemies. The Vestal is a buff-giving priestess. The Witch-hunter is a physically rather weak but quick melee and ranged attacker that can put several debuffs on enemy magic users. The Wraith is not so much a traditional 'wraith', but an empty armour suit wielding a zweihander, a crusader who has given up her corporeal existence to fight for the faith until the end of time. The Fenrir is a fearsome gigantic wolf that can inflict a debuff called rabies (shared with the much weaker Precipice Gnoll) on its enemies. The Gryphon is a formidable flying creature that, much like the weaker Acropolis Harpy, can strike an enemy and return. The templar is a robust fallen knight with the 'jousting' bonus for attacking enemies from afar. The Werewolf is not quite as robust, but comes with the ability to regenerate its hit points every second turn (to simulate night time) and bring back slain enemies as new werewolves. The Valkyrie is a beautiful but fearsome female fallen angel, armed with a spear and with the ability to bring fallen allies back to death. Special skill tree: Evangelism Cathedral heroes can 'evangelize' enemy towns or mines, leeching from them ('tithes') or causing a temporary debuff. This may have several other consequences if random events (see far below) are enabled. Theme: Gloomy, dark/corrupted nature-theme combined with the poisonous and diseased outcasts from other societies. A new take on the traditional Necro faction. Defilers split from the Nature-faction and spread disease and death with the aim of destroying civilization, as a sort of medieval eco-terrorists (don't accuse me of secretly being Erwin for that line lol). All their creatures share their Corrupt trait, making them neutral to morale and immune to poison and disease effects. The Ghoul is the Coven's hideous equivalent of the traditional Necro Skeleton. Not particularly tough or strong, but always numerous. Slimes are little green blobs of poison and death, actually larvae Venom Spawn who are forced to prove their worthiness by their clans. The Minion is a corrupted imp who processes the imp's traditional ability of leeching spell points from an enemy hero. The Darkhound is a corrupted Cerberus with a single head. It has a high attack stat but avearge initiative and defence. The Banshee is a frightening wood spirit, not particularly string but able to curse anyone she attacks, and processes the incorporeal ability. The Hag is a powerful spellcaster who serves as the Coven's only healing creature. The Plauge priest is a plague spreading mage that deals damage-over-time effects. The Blind observer is a blind, corrupted Evil eye who is unable to shot, but can fly and hypnotize its enemies. The Doppelganger is rather weak at its core, but processes the incredible ability to copy the abilities and stats of enemy creatures for a number of turns. This variety of vampire comes in the shape of a beautiful young woman, sucking the life out of her enemies. Not the strongest, but processing an incredible survivability. The Headless horseman is a corrupted Dragoon that can turn incorporeal at will, at the cost of lowering its attack. The corrupted dendroid is a... corrupted dendroid � the classic evil tree. Rather slow, but very tough. The Reaper is an undead devil, able to teleport and strike fear into the heart of its enemies, but not particularly tough in close-combat. This hideous monster is back again to serve the forces of despair and death. This variety is particularly potent, and has no penalty for meele attacks. Special skill tree: Corruption. The Defilers receive numerous bonuses to magic's involving poison and disease, and can turn dead enemies into hideous creatures (Ghouls, mostly). They can also 'corrupt' enemy mines, hampering their production for a few turns, or spread their plague though non-Coven city, granting them an additional number of Ghouls. Theme: Graeco-Roman mythology, with a hint of proto-fascist undertones (might makes right). Acropolis represents a merge of the traditional Warlock and Barbarian factions, as was planned by NWC for H5. Led by the near-immortal Alamar and his savage lieutenants, this band of outcasts tries to find its own way in a harsh environment that has shaped them as much as they shaped it. In their society, might makes right, no matter if that might is by wielding an axe or shooting a bolt of fire at your competitors. The faction is very focused on direct damage and quantity above quality, while having below-average defence. Rather unimpressive, Goblins are numerous and rather inexpensive for their level. Orcs throw axes or smash them into their enemies, their ranged attack is half as good as their melee attack, however. The troglodyte is more robust than the Goblin, but also less numerous, is immune to blind and gets a bonus to its stats when fighting underground. The Harpy is fast and processes the ability to attack without retaliation and return to its original position. The Ogre is more robust, and can buff its allies with the Bloodlust spell. The Centaur attacks with javelins and processes a no melee penalty. The Manticore is a flying, poisonous meele attacker. The Boar chariot is a goblin mounted on a... boar chariot, rather numerous, inexpensive and fast. Evil eyes shot electrifying bolts on their enemies. The Minotaur is a tough axe-wielder with a 35% chance to negate enemy retaliation or attacks. The Medusa is a ranged attacker that can turn its enemies into stone, much like the Precipice Basilisk (see below). The Roc is a fearsome, gigantic bird that is rather fast, while the Efreet is a somewhat less robust melee attacker who processes fire shield and fire attack and deals additional damage to its eternal nemesis, the Genie. The boulder-throwing Cyclops takes the place as the only true level 6 shooter and can strike several enemies at once with its areal attack. Special skill tree: Heroism. Acropolis heroes can provide several buffs to its creatures or to herself depending on how many enemies they've managed to slay. 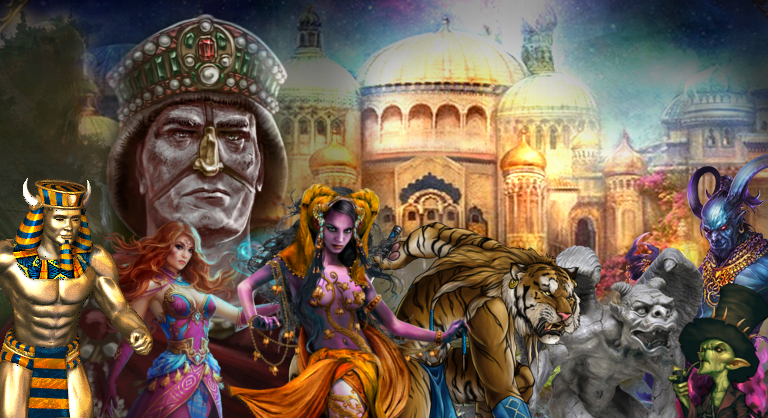 Theme: Byzantine with strong hints of classic magic/mysterious undertones, the magic circus, the wonderland full of animated servants (golems/gargoyles) or ones that are summoned form other worlds we know very little about. Traditionally the most resource-costly town in the game, this incarnation is no exception. The Academy town is unique in that it requires a kind of upgrades for higher level unit. It only provides one 'normal' unit for levels 2-5, the rest are upgraded from either the Apprentice or the Proto-golem by two buildings: the Golem factory and the School of magic. However, both of these buildings require upgrades of their own to unlock these upgrades. This Academy's level 6 tier Titan is actually a mega-golem that requires an additional and extra-expensive upgrade to the factory to produce. The gremlin is a fragile but very effective level 1 shooter. The Apprentice is also rather fragile but processes a few rather useful low-level spells. The Proto-golem is rather robust for its level, but suffers from rather low initiative and speed. The Gargoyle is a flying animated creature, meaning it is immune to poison and disease, as well as corruption. The Iron golem shares this characteristic, but is tougher and slower. The Conjurer is a spell-caster that focuses on summoning various Academy creatures to the battlefield, that disappear after the battle is over. The Rashaka is a fearsome attacker with avearge hit points and defence. The Blood golem renegades when dealing damage but is like other golems, rather slow. The Hydromancer is a spell-caster with several water-based attacks and processes the ability to summon water elementals. The Gold golem processes 75% immunity to enemy spells, and is robust but rather slow. The Dragoon is the aristocratic mounted wizard-knight of the Empire, a fast ranged attacker shooting magical bolts from his staff. The Genie is a spell-caster specializing in arcane magics, such as hypnotizing or creating copies of enemy creatures. It deals additional damage to its eternal nemesis, the Efreet. The Naga is a snake-woman who can attack several enemies at once with no retilation. The Titan is a gigantic man of steel. Melee attacker who can throw his gladius at his enemies from a short distance, but only a very limited number of times. Robust. Special skill tree: Enchantment. Academy heroes have the ability to pay luxury resources to 'enchant' its creature's weapons, giving minor buffs. Theme: Feline. Magical. Ancient egyptian touch. 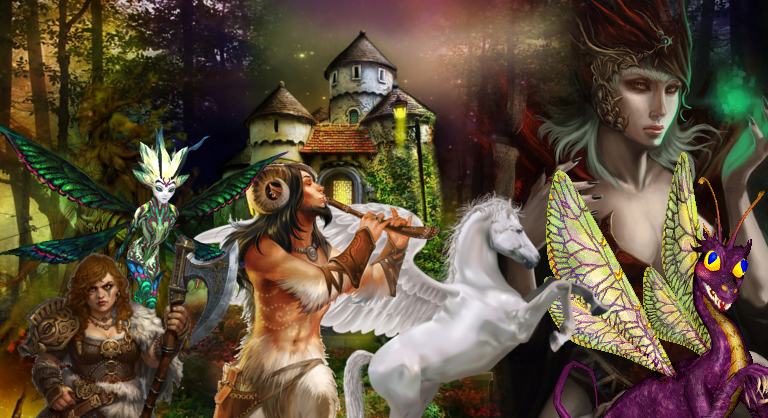 Secluded in the forbidden forest for over a thousand years, the Fey have come out and found a continent at war. Their ranks has a feline streak that include the Lionmen, as was planned by NWC for H5. Focusing more on debuffs and creating natural obstacles for their enemies rather than raw damage, they are still fearsome on the battlefield, especially when any enemy approaches their teritory. Pixies are numerous but fragile fliers that can attack without retaliation. Haflings are rather mediocre shooters. Dwarves are sturdy but slow and make good defensive units for mines and such. The Dryad is a fast melee attacker with some magic, healing capabilities. The Waspwort is a ranged vicious flower that probably needs no further introduction. The Satyr has the ability to cast the Mirth spell, raising the morale of friendly targets. The white tiger is a fast, strong melee attacker with rather mediocre defence. The Druid is not an ordinary spellcaster - but has the ability to transform himself into several different spirit animals such as a bear and a lion. The Sharpshooter is an expert elven archer who shots twice. The Unicorn is a rather fast melee attacker who gets a bonus when attacking Corrupted (Coven) creatures. Dendroids are rather slow, but can 'root' enemy units, denying them the ability to move for several turns. The Fairie Dragon (does not count as a dragon imho lol) is a spell-casting, rather robust level 7 creature. Among other spells it wield, it has the useful abilities teleport both allied and enemy creatures to anywhere on the map. Special skill tree: Geomancy. Preserve heroes process additional abilities that can turn the landscape itself against enemy creatures. Theme: Was tempted to write 'Aztec' here but realized that would be the most generic thing ever. I like to think of good old Tatalia as vaguely 'colonial', it's got exiled Erathian homans blending with the indian/mezoamerican-esque Lizards and gnolls and their mysterious and sometimes brutal ways. So something reminiscent of European Colonies in very Uneuropean places like tropical deep swamps, with a high degree of integration with the natives to the point of blending their architecture with that of the colonists (don't ask me to point to a place were something like that really existed lol). And a dragon-ish touch to all of it, ofc. The Precipice represent the merger of the Tatalian lizardkin and the Dragons, as was planned by NWC for H5. It features strong, bulky beasts � good for defending, and several tricks with it's fast-flying Serpent flies and its magically immune Dragons. However, it is also rather limited in other departments, notably magic, although its heroes process an unique skill tree to provide that kind of arsenal (Inscription). The gnoll is a rather average flail-wielding attacker who has a chance of inflicting a debuff called rabies on its enemies, while the Lizardman is wields a club but can also attack the enemy with javelins from a short distance. The whelping is a young dragon, fast and rather robust but with no fire breath attack, forced to fight as part of its upbringing as per the values of the Dragon nation. The Gog, previously thralls under the tyrannical Kreegan, are a fire-using shooter who can hit multiple enemies at one time. The sooth sayer is a mage with the special ability to control time and move an unit back to a previous position at times. The Serpent fly is a fast but rather weak creature, useful for blocking enemy ranged units. The Viper is a Lizardman/snake armed with a bow and poisoned arrows. The Pterodactyl is a fast but rather average melee attacker, while the Basilisk is a slower but rather impressive melee attacker who processes the ability to turn enemies to stone, like the Acropolis Medusa. Legendary to the series, the Hydra probably needs no further introduction. Strong but slow, with a powerful three-headed attack. The Triceratops is a faster, but less impressive beast that processes the jousting ability of the Cathedral's Templar. The mighty Tyrannosaurus is a powerful melee attacker with average speed and defence. The Kirin is a fast magic using flying unicorn dragon who can use several buffs to bolster itself or its allies. The only one of its kin in the game. Immune to magic and processes a fire breath attack. Potentially the strongest 'normal' creature in the game, right behind a few who are produced in Semi-towns (see below). Special skill tree: Inscription. Precipice heroes do not automatically have access to the normal magic schools (Fire/Air/Water/Earth), as their town lacks a Mage guild. Instead, they have access to an additional spell tree called Dragon magic, that relies on inscribing scrolls with mysterious and alien letters from the void. Many of these provide a temporary magical resistance for Precipice creatures. Four 'Semi-towns' belong to this category. This is a new feature to the series. Semi-towns are not normally selectable from the beginning, offer a very limited number of creatures and only have one hero class with one unique ability aligned with them. In my opinion, this could be an excellent way of dealing with smaller factions that do not quite deserve a faction of their own, but are still important in the lore. These primary represent Alamar's chief opponents in the shape of Tawni's Golden Sea Empire. They can also be used to represent other rouge, non-aligned pirates in general. Bellow-average melee attacker who processes the quite potent ability to turn invisible during battle for a number of turns. Shots enemies with a primitive gun, but also processes a sabre to attack them directly, no ranged penalty. Melee attacker that can charm and hypnotize enemy creatures for a number of turns. The Storm witch is the Asylum's only magic user. She focuses on direct damage spells in the Air Magic tree. The hideous creature from H4. Chance to devour any opponent � even a Dragon - with each attack. Unique skilltree: Stealth. The thief is able to hide herself and sneak by enemy forces up to a certain level. Over a 1000 years ago, someone managed to summon the alien Kreegan to the continent of Aalondor, by harnessing the arcane machinery of the Aegis Spire. 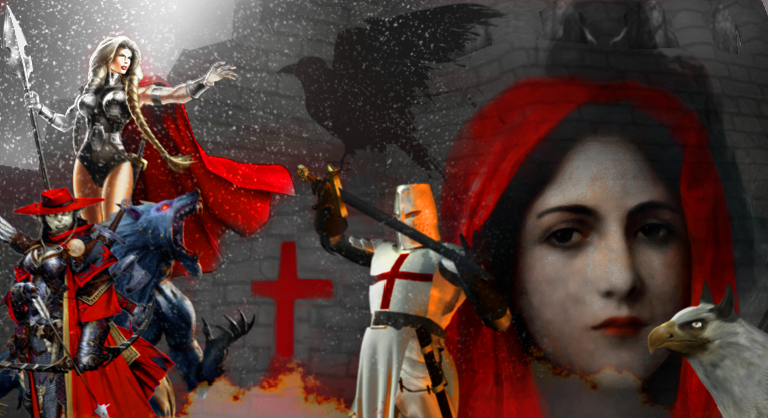 Believing them to be Gods, their followers began to worship them, while taking place in their murderous rampage of destruction on the continent. As a consequence, after their defeat, the Magocrats of the empire tried to eradicate the knowledge of them and even the existence of free will itself. However, even after all these years, some have not forgotten. Led by the mysterious (some say 'stark-raving mad') cultist Ervan �the spider-dragon�, some men and women are still dedicated to ushering in the end of the world. Poor little creatures. Ability to leech spell points from enemy heroes and creatures. Stronger than their Corrupted counterparts, but less tough. Quite fearsome three-headed beasts. Like the Imps, they are stronger than their Corrupted counterparts, but less hardy in battle. Resistant to water-based spells. Can be gated by Devils on the battlefield. Charms her enemies and strikes them with whips. High attack and initiative, quite low hit points. They can teleport anywhere on the battlefield, and their attack is fire-based. But they are not particularly tough in close combat. Unique skilltree: Gating. May 'gate' additional Kreegans into the battle for spell-points. These disappear after the battle is over. While I personally like steam punk a lot, it doesn't really fit into the HoMM universe, and would risk making the game more generic as it's a feature of many popular fantasy settings, such as Warcraft. The Forge represents those who try to utilize the mysterious and arcane technology left behind by the Ancients. It is futuristic, cyberpunk-ish, industrial and not very 'humane' to say the least. Minotaur with a Jet pack. Cool as snow. Naga cyborg with multiple lasers. Unlike NWC's sketch, I think we'll let her have her clothes on. Flying mini-battleship. Probably OP in every way but also outrageously expensive. Unique skilltree: Forbidden knowledge. For a heavy sum of gold and various luxury resources, the Engineer can equip certain non-Forge units with ancient technology (such as laser guns/jet packs etc.) at a Forge town. The Conflux represents the mortal followers of the Elemental lords and their conjured servants. It is unique in that it only produces one creature: the mysterious Will-o-wisp, which can be upgraded into regular elementals or (for an very high price) their legendary counterparts. The later are supposed to represent mastery over their respective element, and should be quite OP compared to normal Lvl 6 creatures, but very rare and very expensive. Incorporeal *thing* of pure energy. Not particularly useful in any way, but still has a mediocre survivability due its incorporeal ability. Fire elementals are sturdy and useful shooters, Air elementals are fast, direct attackers, Earth elementals are extremely tough but slow and water elementals cast spells. All should have above-average stats in general, to compensate for high upgrading costs. The Phoenix is extremely fast, has a fire-breath attack and has to be killed twice before its truly dead. The Thunderbird meanwhile, is both a heavy melee attacker but can also attack by a area-of-effect ranegd attack similar to a thunderstorm, and has cess to air-based spells. The Gargantuan is an extremely though.. Gargantuan, who'se earthquake ranged attack can hit anywhere on the map, for maximum damage. The fearsome and alien Octopus overlord has the ability to turn any enemy mad, becoming hostile to friend or foe alike, and can have the sea devour its enemies if fighting on a boat. Unique skilltree: Elemental evolution. For a price, the Planeswalker can evolve the Will-o-wisp to an elemental or a legendary elemental creature (ie. the above). - The game should be easily modable. - The game should be thought of as a 'tool' to create fantasy settings, rather than a generic game series, and be playable as a more of an RPG like in H4, as more of an Empire management game, or more of a pure strategy game like H1-3. - All starting heroes of the start with the same skills (H4), but each also provide an unique, rather minor, bonus (like in H3). - There should be several prestige classes like in H4. - The skill system should work like in H5, but special bonuses should be dependent on the prestige class rather than faction alignment. 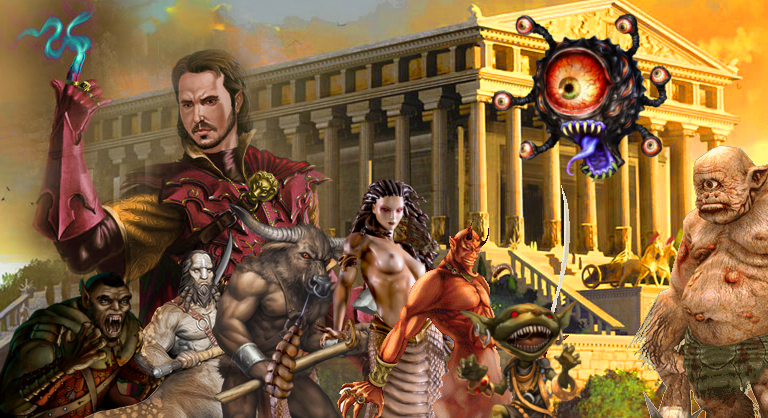 - Magic system similar to H3, based on the element (in line with the mythological Graeco-Roman foundation of the earlier games), and not bound to any specific faction. - The game should feature several variants. One should feature killable heroes fighting directly like in H4, another with heroes staying more at the side like in H5. A third, new variant could be making the hero sort of a 'king' on a chessboard, that can only be killed after all of her creatures have been killed. - Hex-based tactical combat map. Because the chessboard is just.... limiting, in comparison. - Initiative like in H5, with heroes in general having more initiative than creatures (so that magic heroes will also be worthwhile). - Morale and luck working like in H4, with artifacts potentially playing a rather big role. - Ideally, players should be able to chose between simultaneous attacks (like in H4) or a system that is more like in the other games. - Six resources, of course, as in the good old games, with the opportunity to easily add more (such as scenario specific stuff, like keys or whatever) by moding. - Weekly bonuses/maluses like in H3. - Weekly or daily growth also a matter of preference for players/map designers. - The game should be designed so that there are several 'variants' available for the map designer, such as one variant for more RPG-style scenarios where towns may be wholly disabled, one variant for more of an Empire management-style ones (with the map divided into several provinces, several 'neutral' factions to interact with, diplomacy etc. ), and one for a pure strategy experience like in H3. These may co-exist (ie. when entering a town or a settlement or something). - There should be various random events that can happen during the game, both in-towns and on the road - however, this feature should be optional, if players want more of a pure strategy experience, they can have one. - I have a crazy idea about treating one of the player's heroes as some sort of King/Queen outside of the battlefield as well. As such he/she may provide additional bonuses for the entire faction, but when he/she falls, the consequences can be dire. 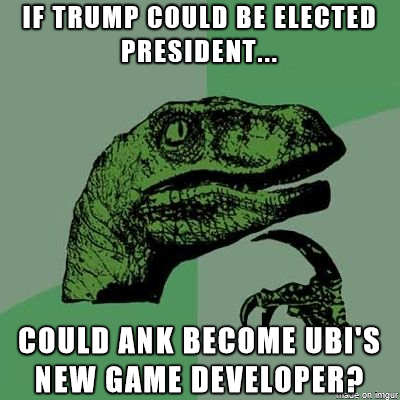 This could lead to the implementation of several Government types like in the Civ games, ie. the Academy faction would normally be a magocracy, the Cathedral faction would be a theocracy, Precipice could be a republic etc. Of course, all such features should be optional for those who prefer a more straight-forward H3-style game. - Speaking of neutral factions, in certain scenarios, mines and other locations may be managed by various 'guild' factions, giving quests and having interests that players have to balance. I think that's all for now.. There's bound to be a few spelling/grammar mistakes here and there... and I could have fleshed-out some of the stuff more, but I hope it was an all right read, at least, if you managed to get this far. Anywaus... I think we can have infinite town and creature proposals, what a new game actually needs is gameplay expectations other than "just remake h3 with new graphics"
See my thread about "heroes infinity" for creating a fanmade Heroes. Yeah - I agree. At the end of the day, what we need is to think about what a successful formula for a future game could look like, and not just factions/lineups etc. I think any new Heroes game should be treated more as a 'tool', a formula to experience classic fantasy environments in, rather than a game per se, and be highly modable. That's why I want to have features that are found in empire management games (Civ/Pdox) like governments, diplomacy with neutral factions and so on... that are completely optional and can be turned off for a 'purer' RTS-experience. I've thought of having several map 'modes' or 'variants' - like the ability to enter a city or something and step into a more rpg-style mode of the game. Sadly... the most promising game in the series... in this department (H4).. is also the one that's hardest to mod, which I suppose you probably know better than anyone else.. It's quite sad since H4 could have been so legendary with its masterful formula and storyline/music, had it only been allowed to be fully completed before its release..
Do not lose hope . Technology is evolving very fast at some point it will be possible to make our own M&M game. I think 3D technology and engines "one-fit-all" like Unreal Engine 4 which is also open source (unreal engine 3, the one of H7, wasn't) will be a nice point for the ideas you say. For example, Starcraft II is an RTS, but in some special maps, you can play it as an FPS. In future Heroes maybe something similar can be devised. As you say, different game modes. For example in the game map have a classic H3 feeling, but in special dungeons, quests, or "inside" castle attacks if enabled you could have a more RPG vibe (like Might and Magic series) by taking direct command of your heroes. Posibilities are indeed endless. H4 could do some of those things because it is the only Heroes games where you can directly command your heroes in combat and have hero parties, but as you said it is near impossible to mod as a whole. Yet my hopes remain high that some day a good Heroes game can be produced, and with nice modding tools any factions and towns someone likes or imagines can be easily added, like it happened with H3 and town mods or possibly H7 (but too many bugs on that one).